HOT TUBS FOR AS LOW AS $67 / MONTH. Up to $1000 off hot tub models & up to $2000 off swim spa models. Hot Tub: A large tub filled with hot aerated water used for recreation or physical therapy. The article above is a must read if you are shopping for a new hot tub. An educated consumer is a happy consumer! Island Elite Spas from Prestige Pools and Spas- The only Artesian Spas dealer in the greater St. Louis metro area. 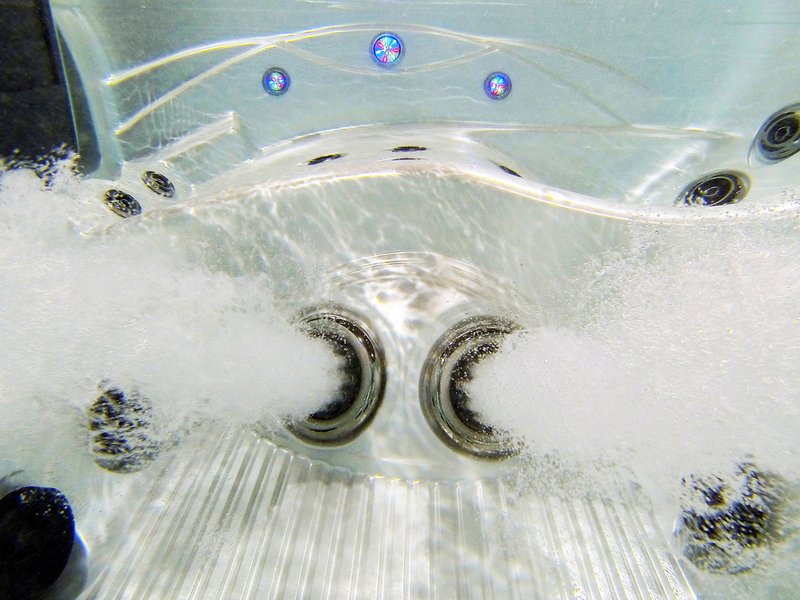 How hot tub hydrotherapy from Marquis Spas can improve your life. The therapeutic benefits that spa owners enjoy are vast. From physical to emotional stress relief, alleviating muscle pain to relief for arthritis, a hot tub can bring your health into focus. We have gathered the following information for educational purposes. While we suggest that you speak to a medical professional before beginning any new health regimen, a hot tub by Marquis Spas may be just what the doctor ordered. Raises the body's temperature and causes blood vessels to dilate, resulting in increased circulation and blood flow. A Marquis hot tub helps to relieve stress and anxiety, thus making it easier to fall asleep, and induces a more restful sleep. Hot water therapy induces the body's natural sleep mechanics. massages and provides relief for muscle spasms. Our showroom is packed with several brands with units that fit all our client's needs. A family owned business since 1985, we here at Prestige Pools and Spas place the highest value on providing American-made products with quality customer service. That is why we choose to carry Island Elite Spas and South Seas Spas from Artesian Spas, Marquis Spas full line of innovative spas, and a line of Roto-mold spas from Tuff Spas. Artesian Spas boasts comfortable ergonomic contouring with a stylish look while providing unique energy-efficient features. Manufactured in Las Vegas, Nevada, the Island Elite Spas line are a high-end product with more of a mid-range price that our competition cannot match. DirectFlow and switchless motors are unique energy-efficient standard features that can only be found exclusively with Artesian Spas, and only available at Prestige Pools and Spas if you are in the greater St. Louis metro area. Island Elite Hot Tubs from Artesian Spas. New for 2016 at Prestige Pools and Spas. Dual Footblasters- A standard feature on all Island Elite Spas at Prestige Pools and Spas. South Seas Spas are also manufactured by Artesian Spas in Las Vegas, Nevada and offer a great variety of affordable hot tubs with that continue the bold look and feel of the Island Elite product line. Gentle contours, streamlined plumbing and multiple jet and pump options give our customers the flexibility to identify the right hot tub at the right price. And each South Seas hot tub is efficient, with an estimated $16 monthly energy cost. Roto-mold spas are the newest edition to the hot tub industry and are just flat-out fun. Able to be placed anywhere without the need of a concrete slab, Tuff Spas are as convenient as they come. They are available in 110v and 220v and have the easiest cover to operate on the market. And of course it is American-made, as it is manufactured in Glendale, Arizona. Ask a salesperson about the spa's components and price and you just might walk out of the store with one today. Tuff Spas has the most unique spa cover in the industry. Only available at Prestige Pools and Spas in the Greater St. Louis Metro Area. As Missouri’s most award winning pool company, Prestige Pools and Spas employ a sales staff committed to providing you with honest accurate information to help you pick the best hot tub for your needs. The highly trained in-house service department with specially trained technicians is available for warranty and post-sale spa service year-round. We encourage you to stop by our showroom to check out any of our three product lines to see what hot tub best suits your needs. From all the staff at Prestige Pools and Spas, we’d like to thank you for considering us for your next hot tub purchase. Please contact us at 314.821.6660 or email us at water@prestigepoolsandspas.com with any questions or to set up a wet test. Happy hottubing!